Well look at you go girlfriend! Congrats on the GDT spot! Your card is so unique and fun! GREAT job! Thanks so much for joining us at The Sisterhood’s ‘MONOCHROMATIC’ challenge and please come back again soon! You cannot go wrong with the Sisters if you use purple! This is a great steampunk card -- the butterfly is so very cool, and you had gears! Gears, and yet this is your first steampunk card? :P Great to have you joining us for the challenge, Shelly! Impressive Shelly. The image is fantastic and colored just right for this card. Love that clock face in the background. nice. 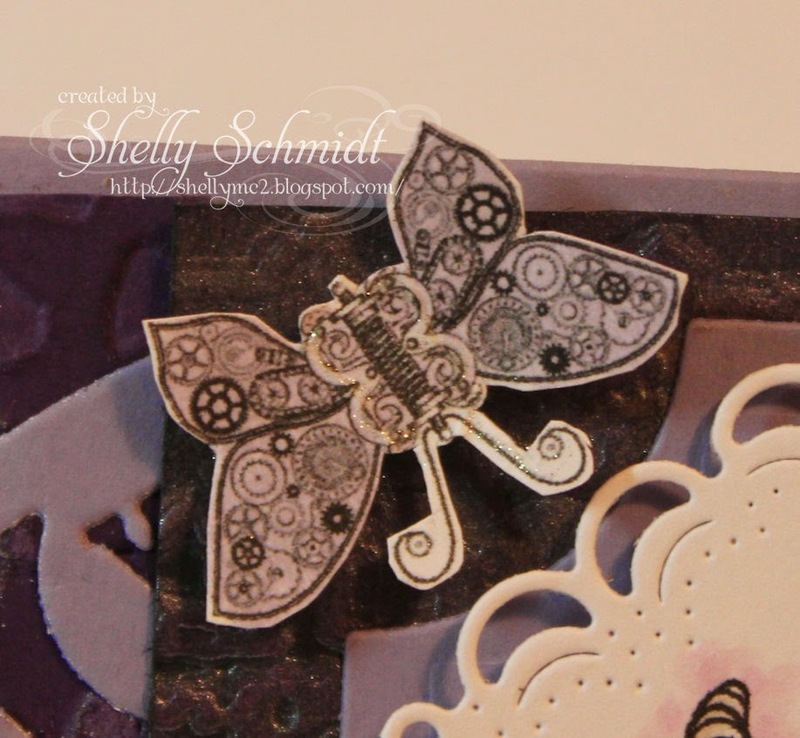 A little steampunk butterfly too! Very cute and pretty card Shelly. I was just going to say I've never seen you do steampunk before - but you did wonderful! Wow - you rocked this one Shelly - love the background, especially that butterfly! Amazing card my friend. 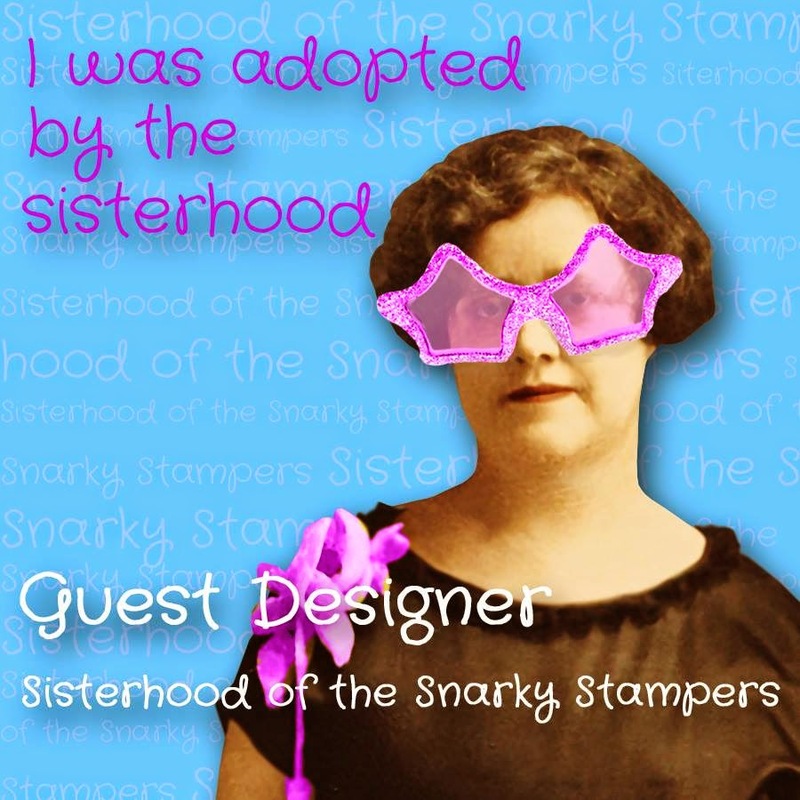 Congrats on the GD spot...how fun for you...great and unique card....thank you for joining us at "The Sisterhood" for our MONOCHROMATIC" challenge!! and Thanks for sharing at Use Your Stuff! You rocked this challenge, Shelly!! Fab coloring of the image and the layer with the technique is very cool! Congrats on your GDT! Great card and awesome details. I really like that butterfly! Thank you for playing along with us at DRS Designs this week! You colored that image beautifully. 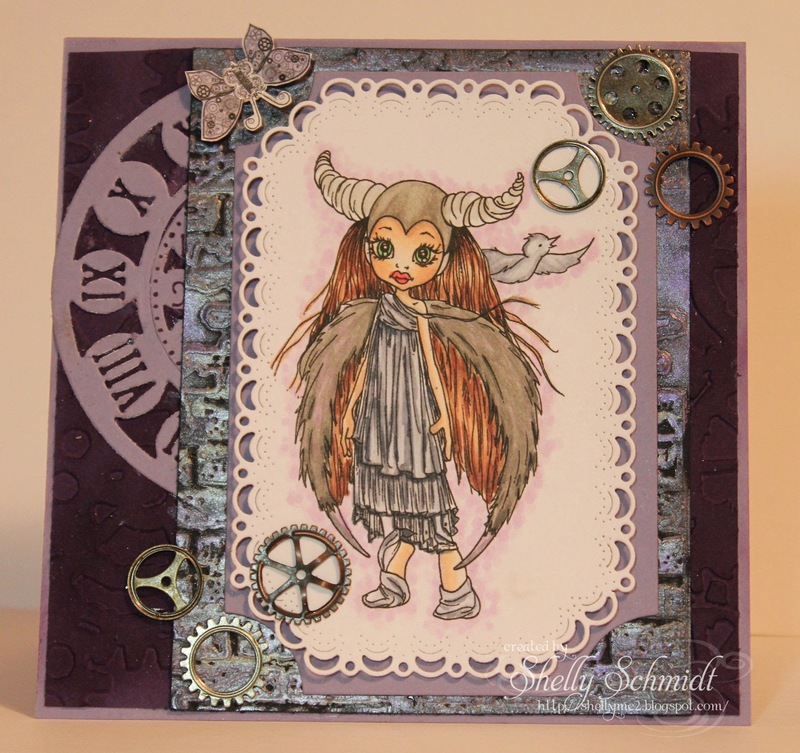 Thanks for joining us at ScrapbookerPhD for our texture challenge. I seriously want to have that butterfly. It is gorgeous and has that unique Steampunk feel to it. Thank you for joining ScrapbookerPhD's Texture Challenge. You were sure up to the challenge on your first Steampunk card! Lovely work. Thank you for being our GD!